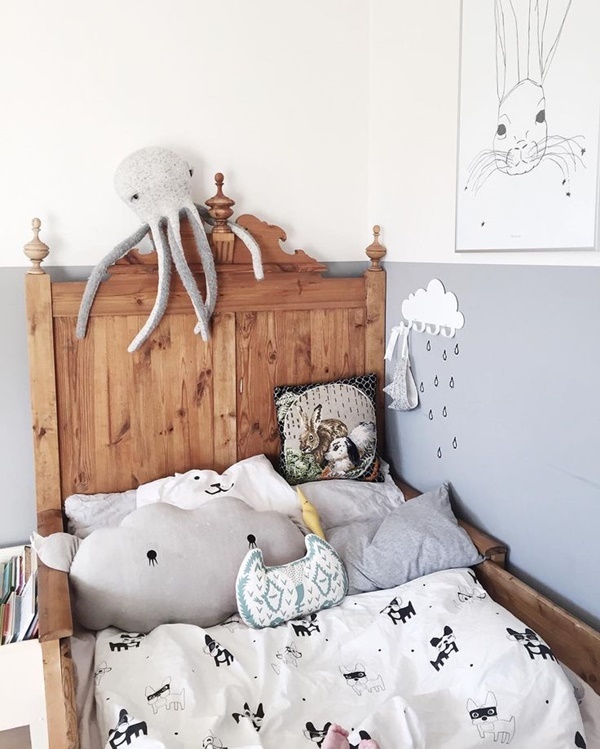 The wall where we place the bed is really important both for an adult or a kids’ bedroom. 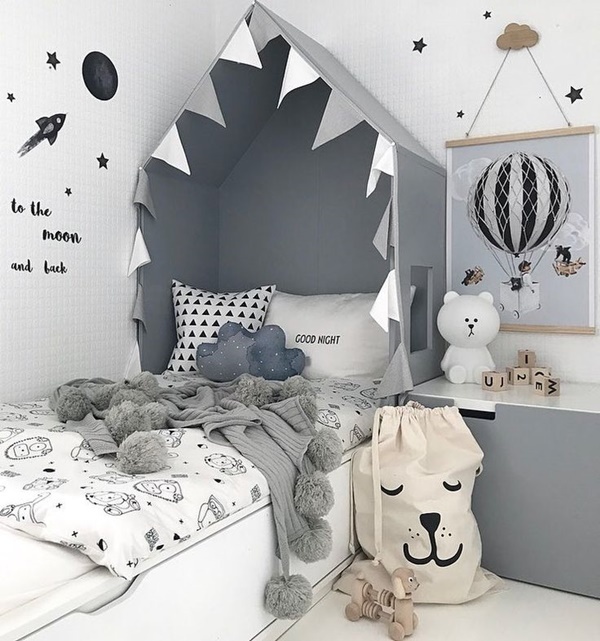 There are a lot of options if we are talking about the kids’ universe, not only in that related to headboards but also to decorate this part of the room. Here you are some of the most interesting ones. 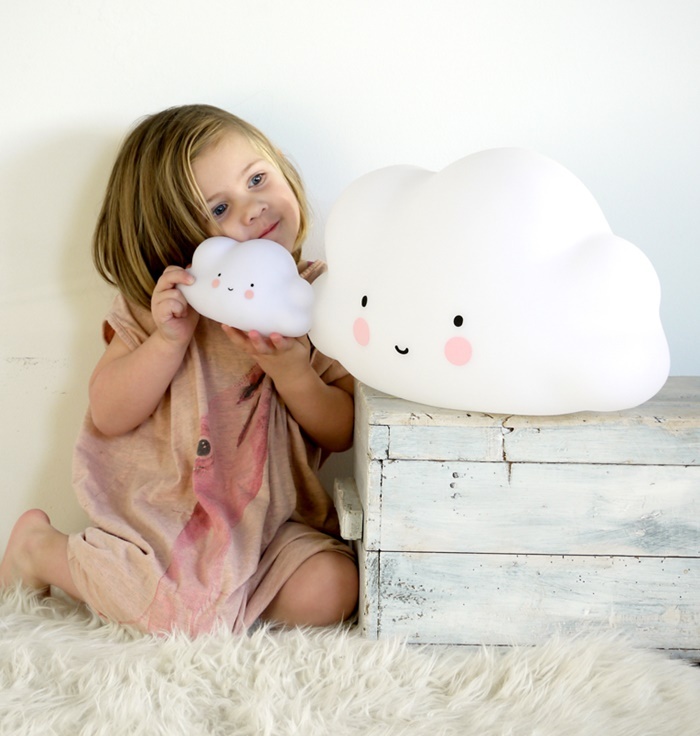 Different ideas to add joy to our kids’ rooms, in a room which is essential for resting. It’s not the only funny shape you can find but I couldn’t resist to use it to talk about headboards with funny shapes. It’s great at it can be adapted to the bed’s length.It’s a different headboard which takes us to heaven. There are many possible colours but white adds lots of peace to a corner where relaxing is the key. 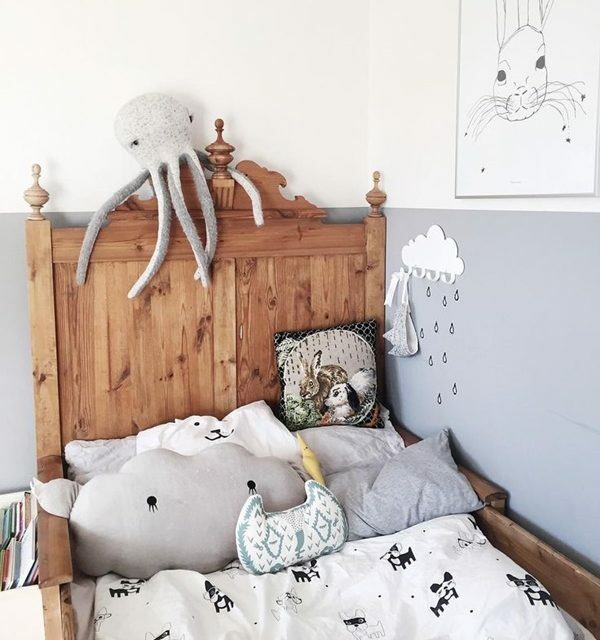 House-shaped headboards are also lovely. We are finding them in many magazines and décor sites. They add that Nordic touch that drives us crazy. Natural wood provides warmth but colour is also a great idea. 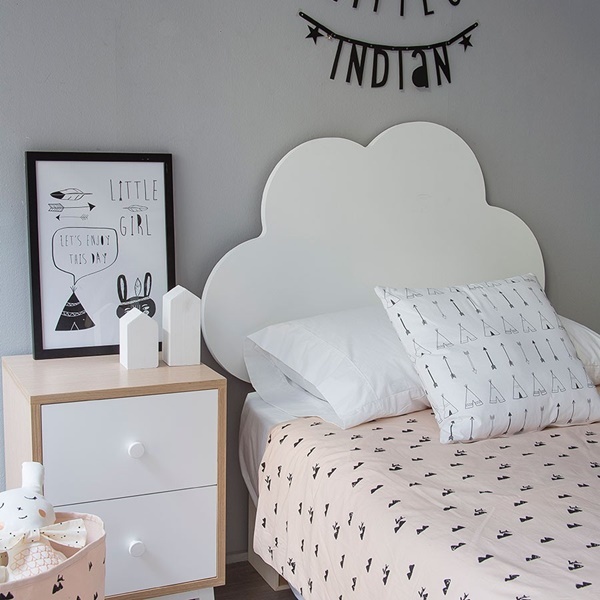 It’s a very special space that fills your little ones’ bed with magic. Wooden boards can be helpful in the warmest rooms. 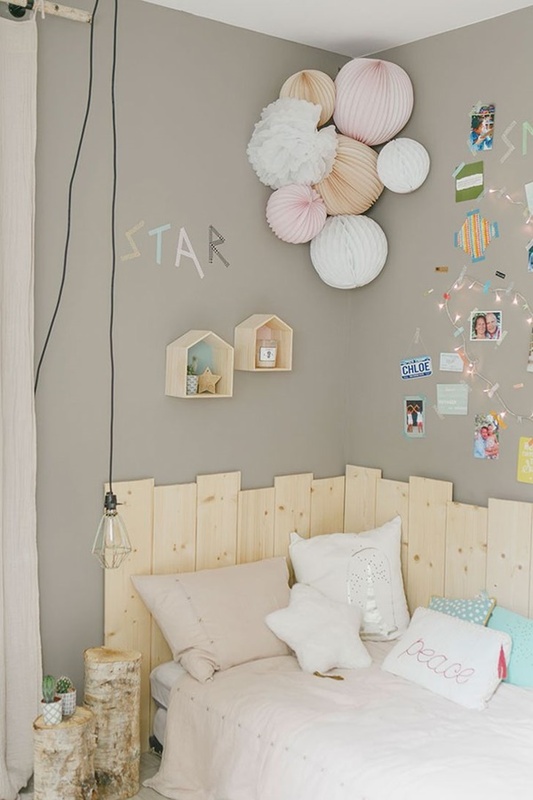 Take a look at this example, a great option, a wonderful DIY option to cover the wall where the bed is placed. 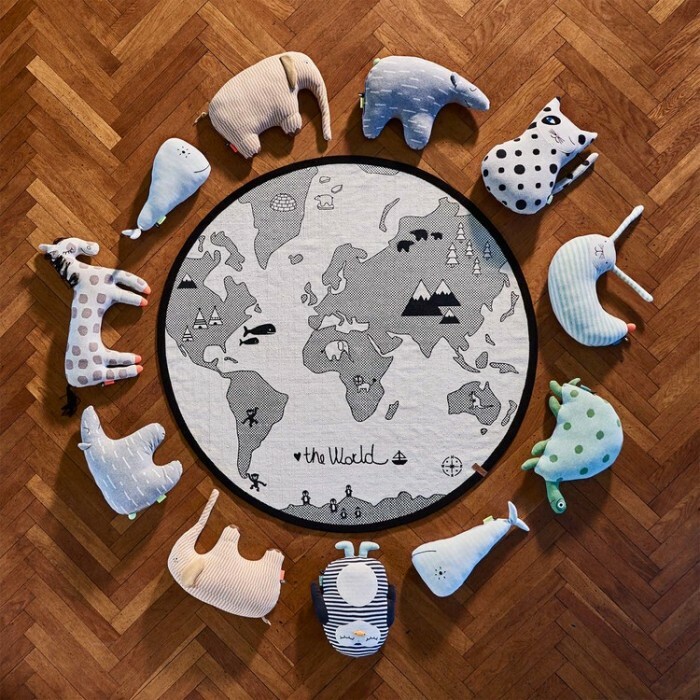 You create a limited space where your little one will feel comfortable. 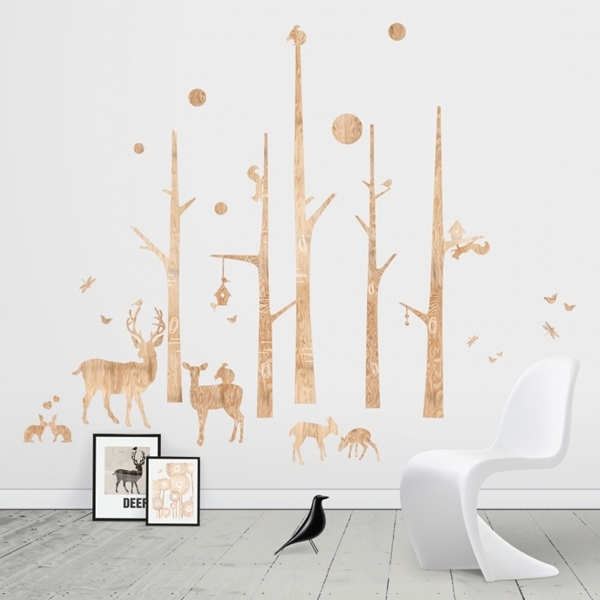 You can use the rest of the wall to place any decorative element as wood matches everything. Painting the wall with chalkboard paint is a great idea. In this way, they will have a new headboard every night. 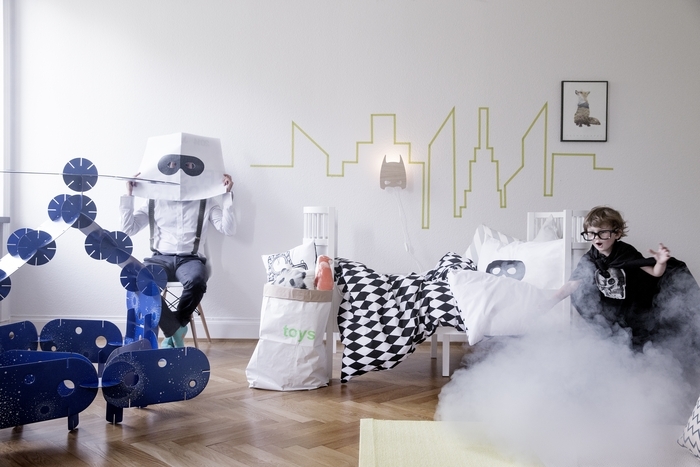 Let their imagination work and they will show their inner artist to decorate their own room. 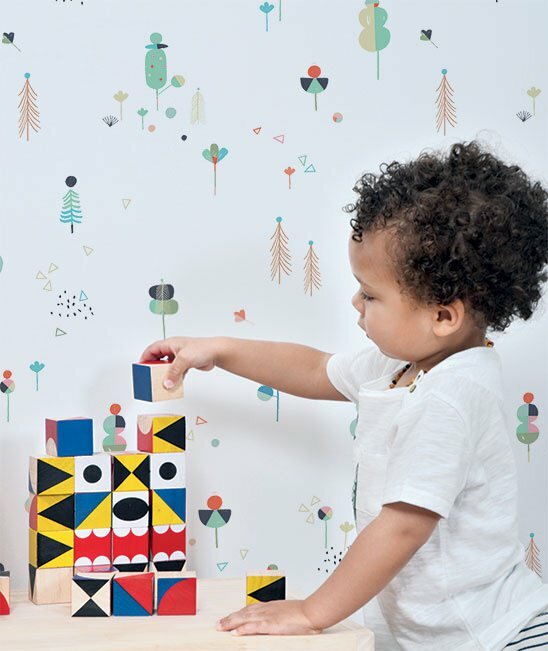 Kids’ wallpapers are wonderful. 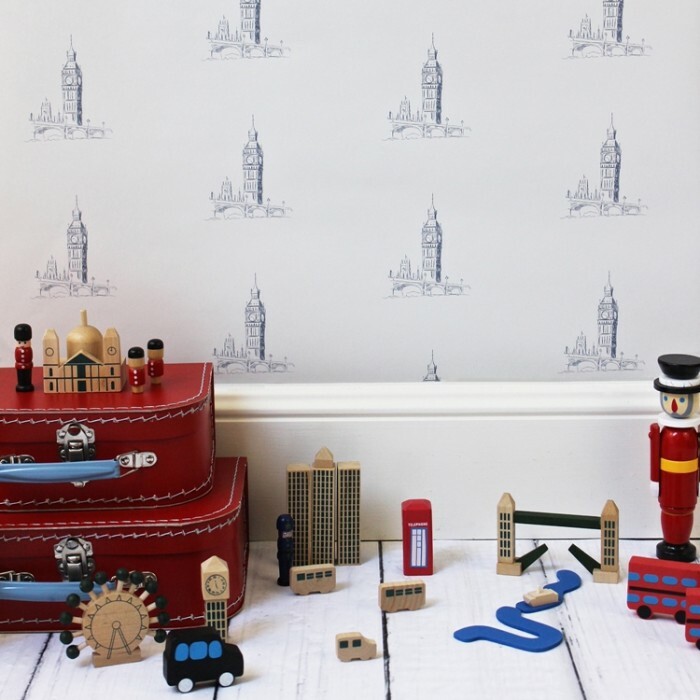 We can find as many designs as we want so our little ones can choose those which are adapted to their personality. Colours, in addition, can build a new look for the whole room. A tip: Less is often more. Choose a wall, the one where the headboard is placed, for example. The rest of the space can be painted with white or any other matching colour to avoid that “too much” feeling. If you want a simple and cheap idea, make the difference with paint. You can use two colours, place white at the top and paint the bottom with the colour you prefer. You will create your own headboards without wallpapers or other options which may be more expensive.